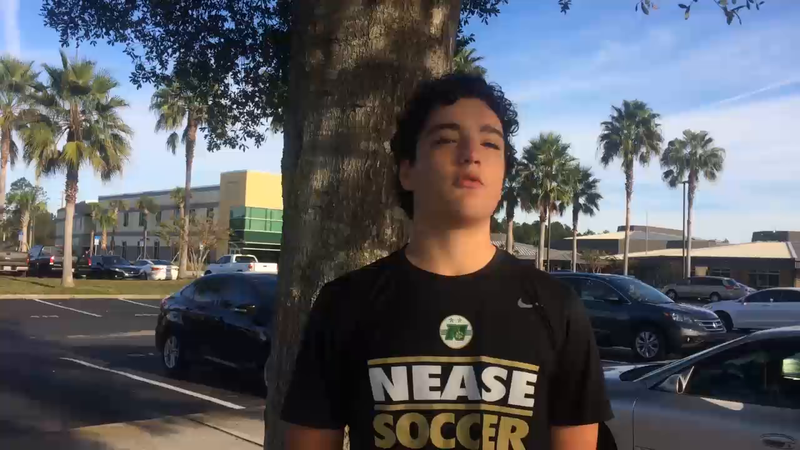 This week's Athlete of the Week highlights Nease soccer player Savio Palushi Jr., a center midfielder on the boys team that has started 6-0 with wins over Bishop Kenny, St. Johns Country Day, Middleburg, Bolles, Bartram Trail and Episcopal. Palushi has 10 goals and one assist so far this season along with 22 shots and an average of two goals per game. He wears No. 9, and his coach told the Recorder that he deserves to be featured in this week's Athlete of the Week for his huge role on both the offensive and defensive side of the game. Additionally, Palushi has been nominated for MaxPreps National Player of the Week. Since he started playing soccer at Nease High School, Palushi has been nominated as the MaxPreps Player of the Game three times: Dec. 4, 2017; Nov. 12 in the game against Bishop Kenny, in which he scored two goals; and on Nov. 14 after his team's 5-3 victory in a non-conference game against the St. Johns Country Day Spartans, in which he was the hat trick hero.